Order on Amazon or below for special bulk order discounts. For Churches, Ministries, Groups, Organizations, Etc. This is why Scripture says He assumes the role of father to the fatherless and He sets the lonely in families. This is the heart of God - a good, loving and gracious Father. This is also the basis of His mandate towards us, the Church, to care for vulnerable children and families around us. Our call to care for the vulnerable and orphaned is rooted in God’s care of us through Jesus. In the Gospel God said, “I see you where you are, and I’m coming after you!” Our involvement in foster care, adoption and family support services are uniquely difficult and yet beautiful echoes of that same declaration. 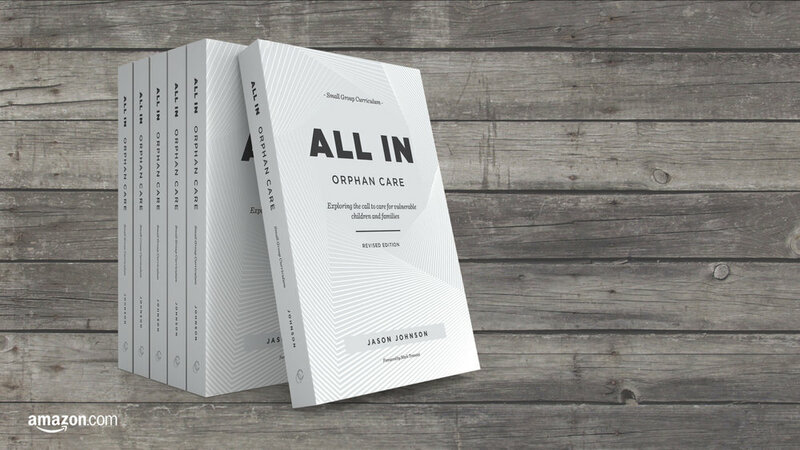 ALL IN Orphan Care is a six-session study guide designed to prepare and equip those who are exploring the call to foster care, adoption or some aspect of supporting families. 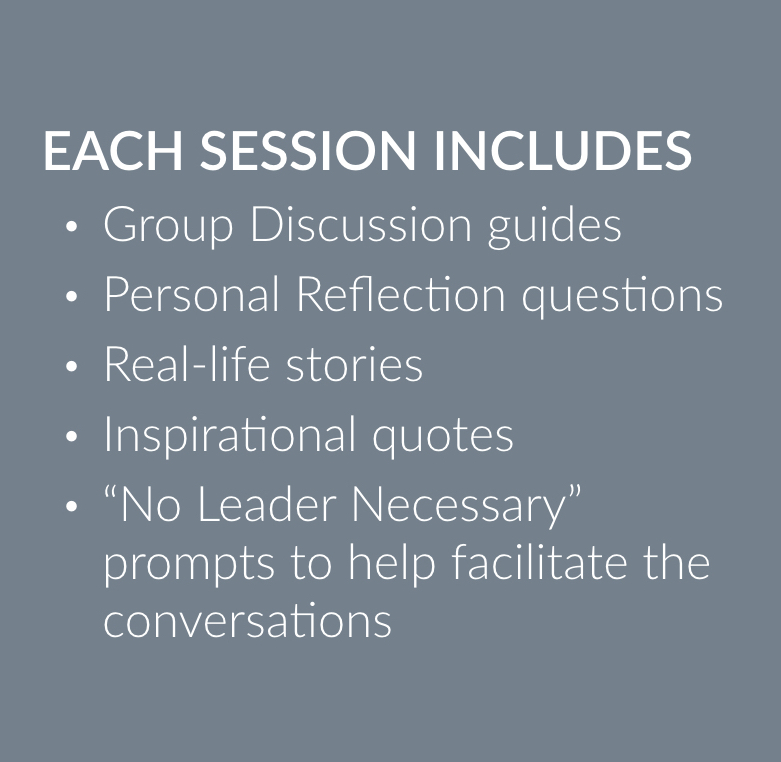 In a small group discipleship context at your church for those considering their role. In a classroom environment with a teacher followed by a time of group discussion . With a spouse or group of friends as you explore your best next steps in foster care, adoption or support. Get creative! It’s adaptable and flexible. At its core, ALL IN Orphan Care is about the Gospel. It’s an exploration of the good news of our being welcomed into the safety and security of the family of God through the work of Jesus and how we can vividly declare and demonstrate that in a variety of ways through our care of the vulnerable. As you explore the call to get involved in foster care, adoption or family support, this curriculum can help prepare you with the theological, practical and realistic tools you need to discern your next best steps.